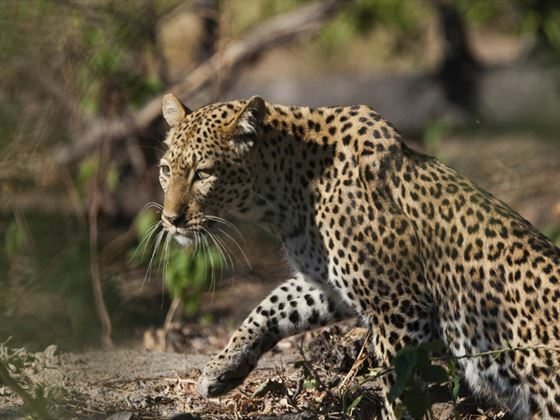 Explore the beauty of Northern Tanzania on this five day safari. Flying in to Kilimanjaro, you’ll enjoy impressive views of the iconic African scenery before arriving in Arusha – the safari capital of Tanzania. From here you’ll move on to Tarangire National Park where you’ll enjoy game drives and guided walks and learning about the local culture. 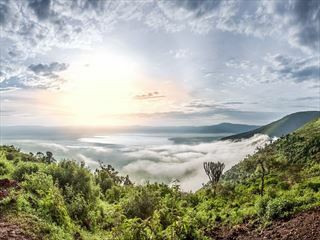 Finally you’ll take a trip to the breath taking Ngorongoro Crater and Lake Manyara National Park. When you arrive at Kilimanjaro Airport you’ll be met and transferred to your lodge which sits only a short distance away from Arusha city as well as Arusha National Park. 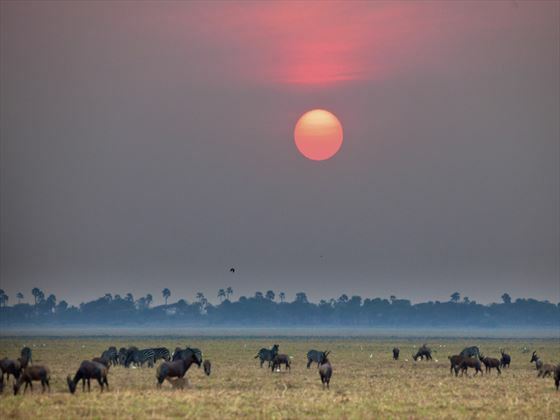 Known as the safari capital of Tanzania, this is the perfect place to start your journey into the African bush. Get settled in here at the Olasiti Lodge where you’ll find comfortable accommodation with en-suite facilities. Visit a local museum and take a game drive into Arusha National Park before returning to the lodge for dinner and a restful evening. 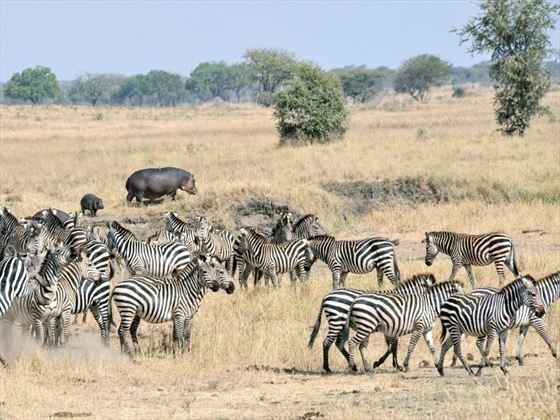 After enjoying breakfast at the lodge you’ll transfer to the beautiful Tarangire National Park, which has one of the largest concentrations of wildlife in the whole of Africa, including elephants, zebra, wildebeest, buffalo and gazelle. You’ll be able to view many of these creatures as after lunch at Lake Burunge Tented Camp you’ll head out on a game drive into the park. 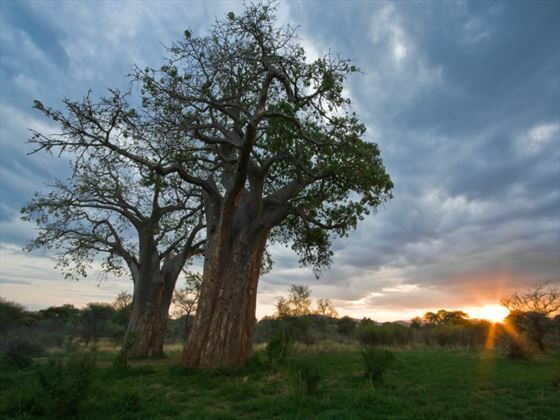 Beyond the animals you’ll also be treated to spectacular scenery with the unusually proportioned baobab trees and views of the mountains. You’ll also have the opportunity to take a guided nature walk or a visit to a traditional village to learn about the local culture before returning to the camp for dinner. 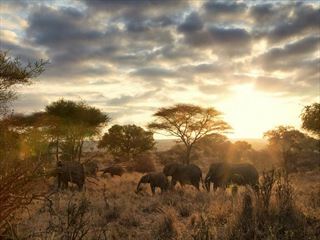 Today you’ll enjoy a full day of game drives within the park seeking out more of the incredible wildlife, returning to the camp for meals. 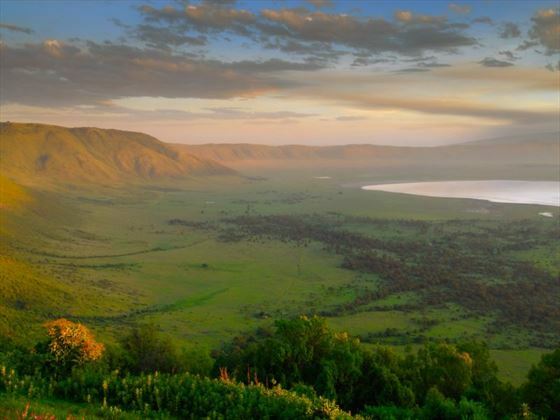 After you’ve had breakfast at the camp you’ll check out and transfer to the Tloma Mountain Lodge which sits close to the Ngorongoro Crater. 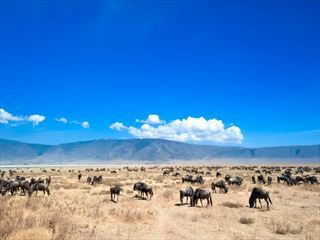 This location makes it easy to explore two of Tanzania’s top attractions; the crater and Lake Manyara. You’ll enjoy a picnic lunch during your game drive before continuing your exploration and then returning to the camp for dinner. Today you’ll have breakfast at the lodge before heading back to the airport to catch your onward flight.